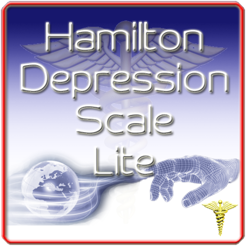 The Hamilton Depression Rating Scale (HAM-D) will help you assess and track your patients feelings of possible depression. - Tests auto save to avoid progress loss. 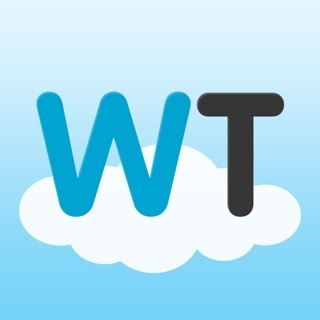 - Save and manage all tests, wheather complete or not. - Print ( to any AirPrint printer). 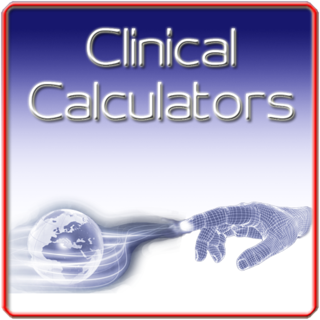 - View past tests and results for tracking purposes. - Resume prior incomplete tests. 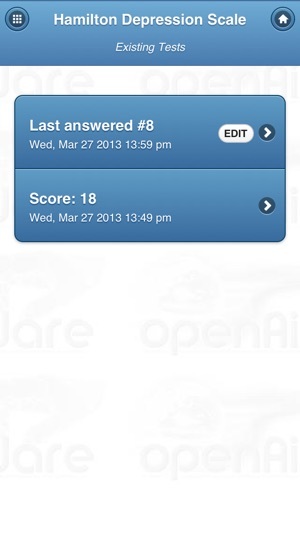 - View tests in Report form. 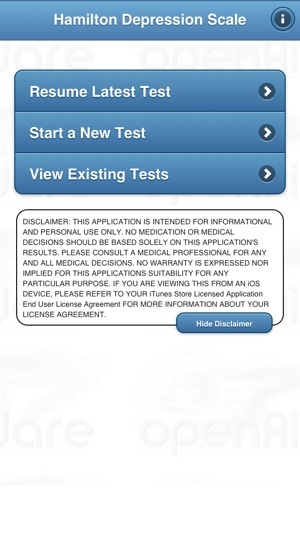 Please note that this app is intended for use by licensed healthcare professionals only. 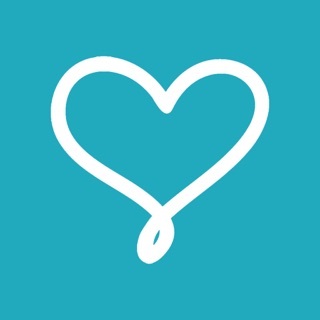 Note: This app is not meant to diagnose or treat and medical conditions. This app cannot replace professional help. If you think that you might suffer from depression, you should contact a medical professional or proceed to the nearest Emergency Room as soon as possible. 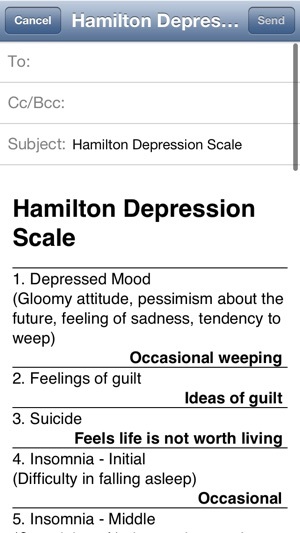 This application is meant for informational and personal use only. While we do perform stringent quality-assurance testing. Please remember that no amount of programming can replace good human decision making. With that, neither openAirWare LLC nor 3Hol3Punch will be held liable in the event of a clinical error arising from the use of this software. 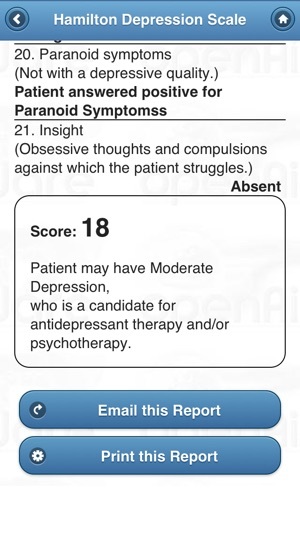 I took the test, and my score was 25 (which isn't a good thing, apparently), but this app seems to be very accurate, and I think anyone with depression, or who thinks they have depression, should give this "test" a try. The end results are explained.